On facebook recently a CEFA reader described an argument between her children where the youngest child exclaimed to his brother "you’re not the boss of me, you’re not the Prime Minister". So, even three year olds know we have a Prime Minister (however he’s yet to learn that the PM isn’t the boss of him). But many of us probably don’t realise that the Prime Minister is not in the Constitution. Monday’s removal of another first-term Prime Minister has caused us at CEFA to question why the Prime Minister, with such a well-known and important role, is not mentioned in the Constitution. In light of what happened earlier this week, CEFA will take a look at the role of the Prime Minister. The role of Prime Minister is central to the functioning of Government, but operates by convention rather than being specified in the Constitution. A convention is an unwritten rule. Not a law, but an accepted way of doing things that has been passed down by tradition. Our parliamentary system, being a Westminster system has many of these unwritten rules. Some of them go back centuries and supplement the formal operation of the Constitution. In practice, the Prime Minister is chosen by his or her party. Each of the parties has different rules for electing their leader and once that party controls the majority of the House of Representatives their leader becomes the Prime Minister. While the Prime Minister is not mentioned in the Constitution, the Executive Government (of which you would expect the Prime Minister to lead) has a whole chapter from Sections 61 to 70. A literal reading of this and other Sections of the Constitution would lead you to believe that the Governor-General runs the government. We know that is not right. In effect the Governor-General only acts on the advice of his or her Ministers, primarily the Prime Minister, except in certain exceptional situations. In the formation of a Cabinet the first step is the choice and appointment of its President or spokesman, the Prime Minister; he is chosen and appointed by the Crown or by its representative. In the choice of a Prime Minister, however, the discretion of the Crown is fettered; it can only select one who can command the confidence of a majority of the popular House. The other members of the Cabinet are chosen by the Prime Minister and appointed by the Crown on his recommendation. The system called Responsible Government is based on the notion that the head of the State can himself do no wrong, that he does not do any act of State of his own motion, but follows the advice of his ministers, on whom the responsibility for acts done, in order to give effect to their volition, naturally falls. They are therefore called Responsible Ministers. If they do wrong, they can be punished or dismissed from office without effecting any change in the Headship of the State. Revolution is therefore no longer a necessary possibility; for a change of Ministers effects peacefully the desired result. The present form of development of Responsible Government is that, when the branch of the Legislature which more immediately represents the people disapproves of the actions of Ministers, or ceases to have confidence in them, the head of the State dismisses them, or accepts their resignation, and appoints new ones. The effect is that the actual government of the State is conducted by officers who enjoy the confidence of the people. Responsible Government means Ministers and the Prime Minister are responsible for all acts, with the Governor-General only following their advice. This type of Government provides stability so that while the Governor-General remains, the Responsible Ministers and the Prime Minister can be removed or dismissed from office if they lose the confidence of their party, the Parliament or even the electorate. The Governor-General appoints Ministers and Prime Ministers in accordance to Section 64 of the Constitution. You can watch the appointment of the new Prime Minister with him being sworn in on Tuesday below. Is our democracy being challenged at the moment? 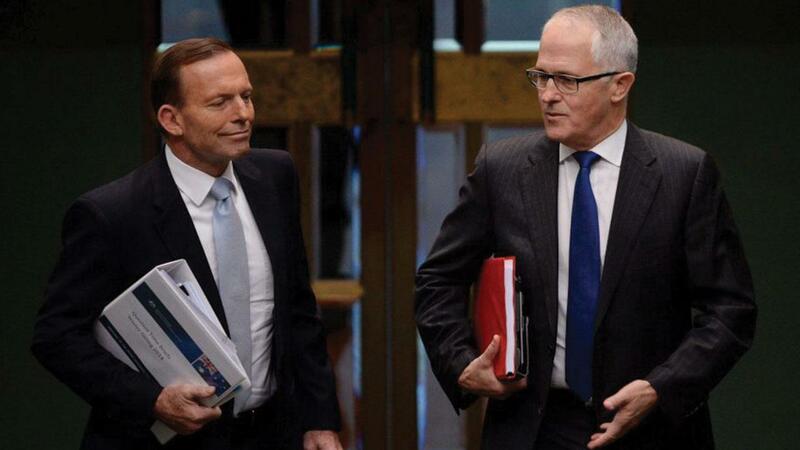 It has been reported that Australia has seen five Prime Ministers in just over the last five years. But, the most recent period of Government is not the only tumultuous period in our history. The first decade after federation saw eight Prime Ministers. Alfred Deakin sat as Prime Minister three different times in that period and Andrew Fisher twice (AF came back again in the following decade). The former Prime Minister Tony Abbott is in no way close to holding the title of shortest period of office either. The ABC has done a fact check on Prime Ministers length of terms and found that with the duration of one year and 361 days, Tony Abbott is only the 10th shortest serving prime minister in Australia's history. The shortest term as PM was Frank Forde with eight days in July of 1945. So while we have experienced something that seems unusual over the last few years, it is not unprecedented. Our Constitution was written with Responsible Government as the basis of governance. Responsible Government allows for the removal of Prime Ministers if there is a loss of confidence, while protecting the system of Government.